SteelHead Mobile is a great way to give application acceleration and optimization to mobile laptops and remote desktops. And to manage all those far-flung SteelHead Mobile deployments, turn to SteelCentral Controller for SteelHead Mobile. It's got everything you need to manage your deployment. SteelCentral Controller for SteelHead Mobile manages the SteelHead Mobile licenses and controls the deployment, management and reporting of SteelHead Mobile software clients. The SteelCentral Controller for SteelHead Mobile deploys SteelHead Mobile as part of a standard operating environment, without additional costs. With SteelCentral Controller for SteelHead Mobile, you can centrally manage concurrent user licenses and the software clients for SteelHead Mobile. 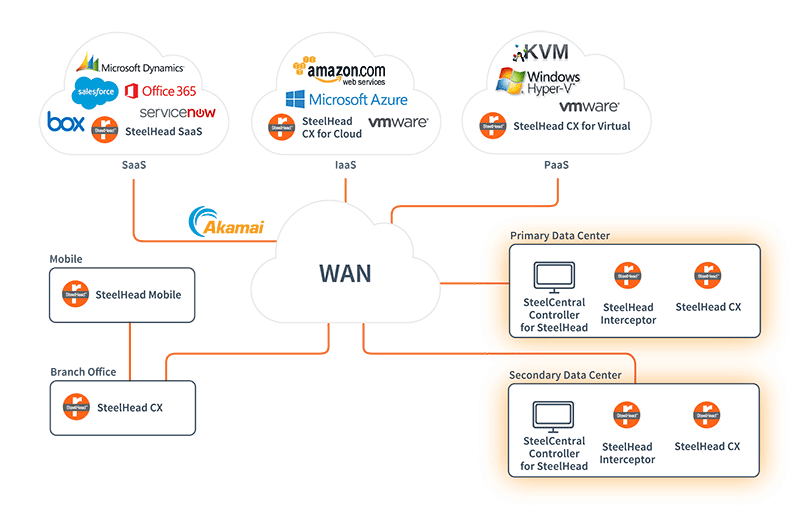 SteelCentral Controller for SteelHead Mobile allows you to quickly and easily deploy SteelHead Mobile for your remote workers, extending the benefits of Riverbed application visibility, optimization and control to users no matter where they are located or what application they need. With its cost-effective and scalable concurrent licensing model, you can control costs by purchasing only the number of licenses needed. You can manage a pool of licenses rather than individual licenses for each user, and easily add new licenses to the pool as needed.